Enter your zip code below to compare health insurance quotes from several reputable companies right now! 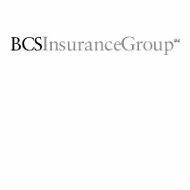 BCSI is an insurance and reinsurance source for Blue Cross and Blue Shield products. They have an AM Best rating of A-, which is excellent and a long-term financial outlook of stable. BSC uses independent agents to sell their products; however, you can contact the company to find out more information about the products that they sell. They do not provide an agent-finding tool on their website, but they do have an inquiry form that you can fill out to receive more information about the company itself. It appears that if you prefer, you can order products directly through the company, however, they do not have a personal agent for you if you decide to take this path. As this service is only for business owners, you may want to consider a solution that allows you to speak with a dedicated agent who can get to know your company, but that choice is up to you. In order to file a claim with BCS, you will have to contact your agent or you can contact the company directly through their Claim Administration and Compliance department. You can contact them by email or by phone but not by fax. There are no forms online for you to fill out for any claims that you may have. It is unclear whether you can get these directly form the company or whether you will have to have them mailed to you or your agent. Although we could not find much information or reviews on the health insurance products offered by BCS, we did find an article written by Frommers.com that named BCS as the number one travel insurer in the US. In addition, the company does have a Better Business Bureau rating of A+ which was achieved because of the lack of complaints and how swiftly the company handled the complaints that were filed against them. In addition, there are no current complaints against the company according to the Illinois Department of Insurance. While there are many different ways that you can contact BCS, there does not actually appear to be a customer service line available for customers. Basically, you have to look at a directory and choose the person that you want to speak to within the company. In addition, there is no information about the hours of operation for the company although you can probably assume, at the very least, that they operate under regular banking hours. It is possible that they have extended hours or a hotline, but they do not mention that on their website. Of course, this also means that they do not display any of the benefits that the company offers to their employees nor do they provide any information about whether there are any positions open within the company. In addition to this, they also do not provide any contact information for their HR Department amongst the extensive contacts they provide on their website. It is possible that they do this to prevent the advent of unsolicited resumes, but it is difficult to say for sure. As you may have already guessed, BCS does not provide a quote tool option on their website. What’s more, they do not provide any contact information or explain how to get a quote from the company. The truth is you can call the company to get the quote that you need, but we found out about this from a former customer, this information is not displayed anywhere on their website. If you are looking for personal health insurance, however, you will want to consider another option as this company does not sell any. Enter your zip code below and get your free online health insurance quotes today!